No more Ben Affleck as Batman, but the new movie is coming. The next Batman movie has its release date: June 25, 2021. And the franchise is saying goodbye to Ben Affleck. Affleck even confirmed it on Twitter. Also new on the DC front is that just weeks after The Batman, the second Suicide Squad movie, called The Suicide Squad, opens on August 6, 2021. That’s the movie James Gunn is writing, which you read about first here on io9, and now is officially in talks to direct, according to the Hollywood Reporter. But wait, there’s more. DC has also dated a movie called DC Super Pets to open on May 21, 2021. That’s a lot to break down. My first takeaway here is that Warner Bros. is staking a strong claim to the summer of 2021. It feels like a preemptive move to get out ahead of any official Marvel announcements, as we patiently wait for news after Avengers: Endgame. And, coming off the massive success of Aquaman, it’s more than welcome. The Batman stuff is basically what we’d read already. The writing was on the wall about Affleck and has been for several years. 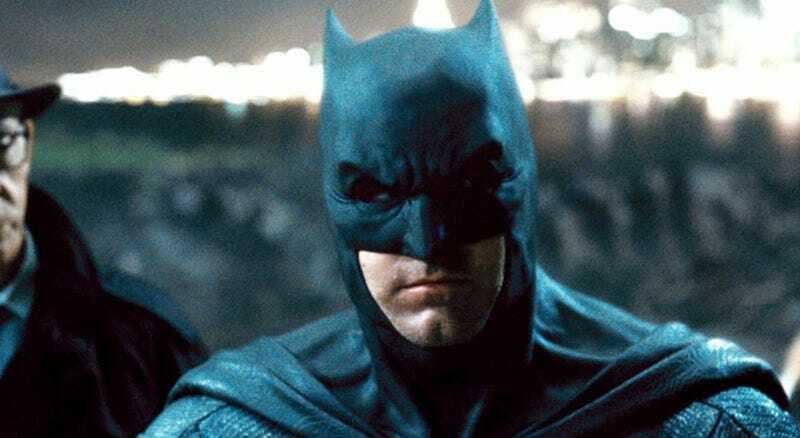 Even the release date, while new, was teased early today in an interview Matt Reeves did with the Hollywood Reporter, where he talked about the film being a detective story with a large rogues’ gallery. Next is The Suicide Squad, which is a curious title when you first hear it. Then you remember Gunn, who DC scooped up with Marvel fired him, is tackling that franchise from a whole new perspective. He’s reportedly not beholden to the David Ayer movie or Birds of Prey. That’s why it’s not “Suicide Squad 2.” He’s also expected to use “mostly an all-new cast.” This movie just got a whole lot more interesting. As for DC Super Pets, it’s being directed by Jared Stern and Sam Levine and produced by Patty Hicks, according to the Hollywood Reporter. Stern was one of the writers on the Lego Batman Movie and Wreck-it Ralph, while Hicks has been working on animated films going back to Disney’s Beauty and the Beast. That makes it seem likely it’s an animated film (which Collider first reported last summer), but that wasn’t confirmed in this latest update. Big day of news for DC fans. What do you think? Update: The news of Gunn now being in talks to direct The Suicide Squad with a new cast was added after we first published.